Lax Kwa’laams Tsimshian Academy library furniture is being shipped from Bandstra (W2R Sponsor) Richmond to Prince Rupert. The shelving is expected to arrive on Friday 26th May. 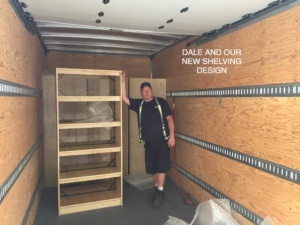 In late 2016 members of the W2R LIBRARY RESPONSE TEAM and MISSION AM ROTARY CLUB transported the first load of shelving for the library. Members of the team along with those from the community & Naomi White the ACADEMY LIBRARIAN were able to sort and get books onto the shelves. However there were many books left over and this second shipment to the ACADEMY will help get those books onto shelves. 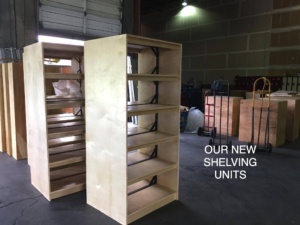 There is the final shipment of shelves to be sent to Lax Kwa’laams and these will be transported to the community by the end of June 2017. In addition to these shelves 4 HP ALL IN ONE COMPUTERS and 4 MINI IPADS will be sent at the same time. 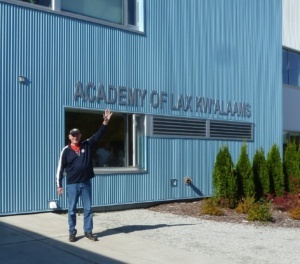 The Lax Kwa’laams TSIMSHIAN ACADEMY / COMMUNITY LIBRARY is the 11th of 14 library/learning centres to be opened to date. 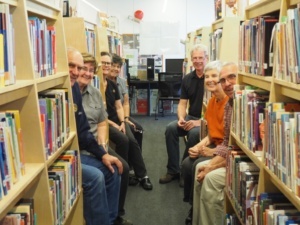 Bandstra Trucking – Books and shelving have been delivered to the remote locations of W2R libraries thanks to free trucking provided by this freight company. The Coast Tsimshian Academy will provide classrooms for 26 kindergarten and 156 Grade 1 – 12 students. The school will be a beautiful, two-storey, 2,005-square-metre building, tailored to the needs of the community. With a large, state-of-the art kitchen, and well-thought-out design and layout, the school will be a great place for large groups of people to gather. The school will also have designated learning areas for home economics, industrial arts and cultural activities. All classrooms are well laid out, flexible to use, and have taken into account the needs of learners today, including electronic and spatial needs, as well as the relationship between teacher and student. There are also central gathering spaces connected to other common social areas, and quiet spaces to allow for more intimate learning opportunities. The school is also designed to be expanded to meet long-term projections of 175 – 200 students. If many of the proposed economic development projects in the area get underway, many community members living away from home will have the opportunity to move home – and the new school will be a great place that will welcome their children and youth back to the community. 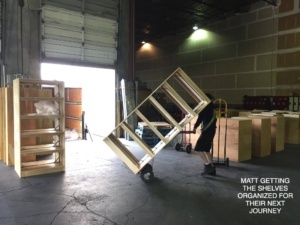 Matt getting the shelves organized for their next journey.